Love is the best medicine. Olivia Davenport has finally gotten her life back together. She’s left her painful past behind, started over in a new town, and become Harmony Harbor’s most sought-after event planner. But her past catches up to her when Olivia learns that she’s now guardian of her ex’s young daughter. With her world spinning, Olivia must reconcile her old life with her new one. And she doesn’t have time for her new next door neighbor, no matter how handsome he is. Olivia may act like she’s got everything under control, but Dr. Finn Gallagher knows a person in over her head when he sees one. He’d really like to be the shoulder she leans on, but Olivia makes it clear she doesn’t want his help. Since he’s returned to town, his waiting room has been full of single women feigning illness. Yet the one woman he’s interested in is avoiding him. But with a little help from some matchmaking widows and a precocious little girl, Finn might just win Olivia over. 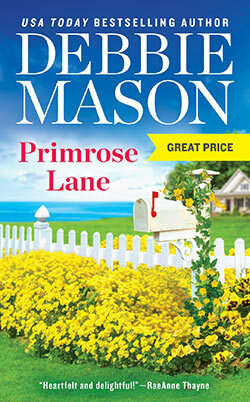 "If you love your contemporary romance stories with lots of charm, heart, and humor, Primrose Lane is the perfect book to pick up and read. It’s fast-paced, thoroughly addicting, and highly entertaining. I couldn’t put it down!" "Wow, do these books bring the feels. Deep emotion, heart-tugging romance, and a touch of suspense make them hard to put down while the humor sprinkled throughout keeps the emotional intensity balanced with comic relief." 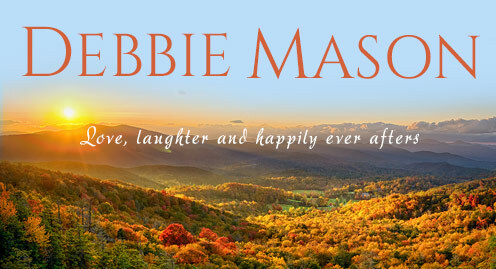 Website copyright © 2016-18 by USA Today Bestseller Debbie Mason. All rights reserved. Website design by Web Crafters.